THE FISHERY - Tiaki is a new fishing method with the potential to change the way the world fishes. Developed in New Zealand and driven by the desire to deliver better quality seafood and safeguard the future of our oceans and fish stocks, Tiaki is a great Kiwi story; the outcome of a Primary Growth Partnership between the Ministry for Primary Industries, Sealord Group, Aotearoa Fisheries and Sanford Ltd. Tiaki is creating a new category of premium seafood, fished with the revolutionary Precision Seafood Harvesting technologies designed by Plant & Food Research. Tiaki comes from the Māori language and means to guard, keep, look after, care for, protect, conserve and save. The Tiaki philosophy is simple – the fish is at the centre of what we do. If we do what’s best for the fish it’s best for everyone. 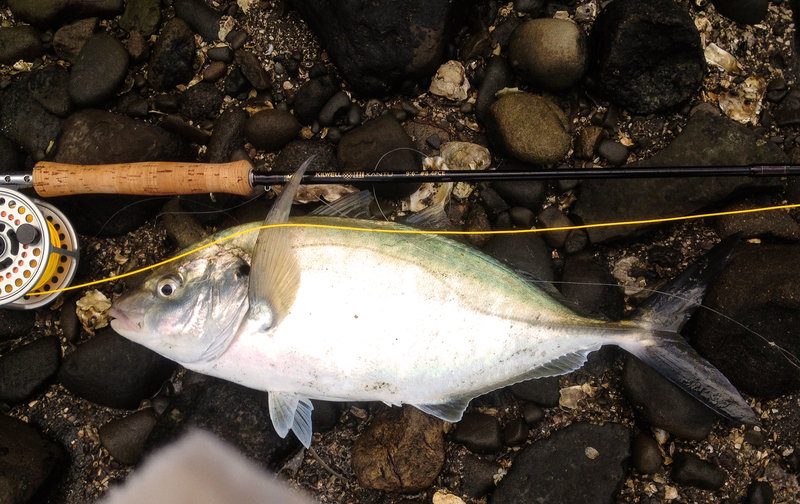 THE FISH - White Trevally has a very rich texture and is a very flavorful species. It has the oil content of the fattiest of Yellowtail and a very clean, pronounced "Ocean" flavor. This fish works in a variety of applications and is hearty enough to fit bold "set" flavors.